Washington Gas has agreed to replace copper lines throughout a Chantilly neighborhood and pay Virginia a six-figure penalty stemming from a explosion in 2010, but the settlement will not compensate the homeowner’s whose loss launched the investigation. In the agreement between the company and the State Corporation Commission, Washington Gas neither admits or denies violating safety standards. The company has been directed to undertake several safety improvements, including the replacement of all copper service lines in the Brookfield Community where the explosion occurred. As of Dec. 20, 2010, charred debris was all that remained of Thuan Nguyen’s two-story home in the 4300 block of Lees Corner Road. No one was hurt in the explosion as the Nguyen family was out at the time. A subsequent investigation and report of the accident by the SCC’s Division of Utility & Railroad Safety cited nine alleged violations of the commission’s gas pipeline safety standards against Washington Gas. The report states the gas service line under Lees Corner Road leading to Nguyen’s home experienced severe corrosion that resulted in a major gas leak. However, the report also states that alone is not enough to prove culpability for the explosion on the part of Washington Gas because it cannot be proved that a 1-inch diameter gas fuel line that “terminated on the second floor of the [Nguyen] residence” had been properly capped. According to the report, the end threads of that fuel line were tested after the explosion for the presence of pipe thread sealant; none was found. Representatives of the SCC and Washington Gas announced the settlement May 24 during a public forum in the neighborhood. According to SCC safety manager Shane Ayers, Washington Gas will be pay a penalty of $154,800 to the state, with an additional $219,700 due if the remedial actions set forth in the order are not met. “We’ve got over 200 lines to replace in this neighborhood,” said Steve Price, Washington Gas spokesman. “So if you don’t think the explosion was caused by faulty copper lines, why all this work?” Nguyen asked during the public forum. Officials proposing to build an $80 million natural gas pipeline through central Maine got both support and questions at a City Council meeting earlier this week. Mark Isaacson and Anthony Buxton, partners in Kennebec Valley Gas Co., are seeking a tax increment financing agreement with Waterville and 11 other communities on the proposed line, which would extend from Richmond to Madison and include 12 miles of line in the city. Natural gas, they said, is less costly, cleaner and more efficient than oil. City Manager Michael Roy said the city’s TIF Advisory Committee reviewed the project and voted to support it. Councilor Karen Rancourt-Thomas, D-Ward 7, said she liked the idea that natural gas is less costly than oil and ultimately, would help companies maintain jobs. “That’s what we have to look at in this situation,” she said. Chris McMorrow, who owns rental properties, said heating buildings is costly and the introduction of natural gas would be welcome. “So, I’m real excited as a landlord who buys a lot of energy,” he said. But mayoral candidate Karen Heck cautioned councilors to seriously consider Isaacson and Buxton’s proposal, as well as a plan by Madison to build a pipeline. She said she is concerned about where the gas comes from, how it is extracted and who extracts it. Isaacson said a “host of companies” extract the gas and it is all mixed in the pipeline. “We don’t have control over where the gas comes from,” he said. Mayor Dana Sennett, who is running for re-election in November, said Wednesday that he thought the presentation Tuesday was informative. “I think having a natural gas pipeline within the city’s limits and accessible to the city’s businesses and residential community is a long term asset as far as reducing energy costs,” he said. Andrew Roy, who is running for mayor against Heck and Sennett, said he wants to learn more about the proposal before deciding if it is good for Waterville. “There’s no way you can predict the price of it, 20 years down the road — 30 years down the road,” he said. Madison is not asking communities along the pipeline route for tax breaks. Besides Waterville, Richmond, and Madison, they include Gardiner, Farmingdale, Hallowell, Augusta, Sidney, Oakland, Fairfield, Norridgewock and Skowhegan. Isaacson said his company, which was formed last year, completed a preliminary design for the pipeline this year and received conditional certification in August from the Maine Public Utilities Commission, which allows the company to form as a public utility. The company has completed a feasibility study but has not yet secured all funding needed for the project. Agreements with key users, identified as Huhtamaki, Sappi and Madison Paper Industries, are critical to the project. The tax increment financing districts would require municipalities to give back a percentage of local property taxes to the developer to help finance the pipeline. TIF districts also act as a tax shelter for towns, so increased property values in the designated areas do not result in increased tax commitments. Isaacson said the company hopes to get TIF agreements this year, secure financing in 2012 and build the pipeline in 2013. Councilor John O’Donnell, D-Ward 5, asked what happens if the key users such as Madison Paper and Sappi do not come on board. “Those commitments are essential for financing of the project,” Isaacson said. O’Donnell asked what the advantages are over Madison’s plan. Isaacson said Madison does not propose to provide residential or distribution service, at least in the beginning. “I think their status as a public utility is unclear and their schedule is clearly behind ours,” he said. Resident Scott McAdoo asked who would be responsible if a gas explosion occurred. Buxton said gas pipelines are regulated by the local, state and federal government, and the standards are very rigorous. “I would point out that we tend to hear about a natural gas accident when it happens, but it is extremely rare,” Buxton said. He said Maine is about the only state in the nation without a natural gas infrastructure. Council Chairman Charles Stubbert, D-Ward 1, said the city used to have a gas company and most people used gas. To his knowledge, there was never an explosion, he said. Officials say water may look, smell differently, but is still safe to drink while the Cedar Grove Reservoir is drained. While the Cedar Grove Reservoir is drained, workers will go in and repair corrosion damage, inspect its conduits and fix leakage. The process of draining the reservoir, which is located along Ridge Road, is expected to take three to four months. During that time, water customers in towns supplied by the reservoir may notice some discoloration or changes to the taste of the water, but officials say the water is safe to drink. The City of Newark owns the reservoir and the city’s Department of Water and Sewer Utilities for the City of Newark along with Mayor Cory A. Booker, explained that the discoloration occurs when valves are opened and closed during the drainage process. The Great Notch reservoir, owned by the Passaic Valley Water Commission and located in Woodland Park, will supply additional water to customers, so there is no interruption in the supply or quality of water while the repair work is being done. City officials say there is a leak in the outlet tunnel and corrosion damage to the 60-inch water main. The main also needs a new valve. The reservoir provides water for Newark, Belleville, Bloomfield, and some areas of East Orange. Every decade or so, the reservoir is drained and cleaned of debris. Its pipes are inspected, and then it is re-filled. The project is expected to finish on April 30 of next year, according to Township Manager Thomas Tucci, who said the project will not create any issues to residents. The city has not drained the reservoir since 1990 to perform repairs. Water samples are taken daily from the reservoir and tested to make sure the water quality complies with safe water drinking standards. Discoloration does not make the water unsafe, officials say, but could cause discoloration while washing clothes. Team members of MATCOR have been involved in several online discussions (LinkedIn) about the pros and cons of Zinc Ribbon for use in AC Mitigation. So we thought we would share our expertise in this subject on our blog. Below are 4 reasons why we believe Copper (and our AC Mitigation product, “The Mitigator“) is a superior solution to Zinc Ribbon. Formation of passive films on the surface of the zinc can cause a significant electropositive shift in the zinc potential over a period of time; this generally occurs over a period of days or weeks. The general rule of thumb is that the concentration of chlorides and sulfates must be measurably greater than the sum of the concentrations of bicarbonates, carbonates, nitrates and phosphates; otherwise with time the zinc corrosion potential will shift electropositive. Plattline’s Web site notes that zinc ribbon is “generally used with gypsum backfill”; however, too often for AC Mitigation applications, no consideration is given to placing the zinc ribbon in a specially prepared backfill (this should be general practice). Zinc faces high consumption/corrosion rates in the presence of AC. A.W. Peabody has noted that AC can “create an especially high corrosion rate with buried aluminum, magnesium and zinc”. Testing of zinc electrodes at an AC Current density of 155 A/m2 found a 15-20 fold increase in the consumption rate of zinc. R.A. Gummow, a corrosion engineer and a NACE International accredited Corrosion Specialist, notes that “accelerated corrosion of zinc ribbon AC mitigation facilities must be expected and needs to be accounted for in the cathodic protection design despite the lack of information on the magnitude of the accelerating effect”. The effect on existing impressed current CP systems: the use of zinc anodes directly connected to the pipeline for AC mitigation can interfere with existing impressed current CP systems in a way that is both difficult to model and to predict. In some cases, the zinc anodes can become an additional load, particularly if the zinc is not located in a prepared backfill and has shifted to a more electropositive potential. In other cases, the zinc anode may be providing and/or supplementing galvanic current to the CP system in which case it will be consumed over time – note that the presence of AC often increases significantly the consumption rate. This could result in premature consumption of the zinc ribbon as an AC Mitigation system. The effect of the zinc ribbon on potential surveys when directly connected to the pipeline can be erratic and difficult to interpret, rendering these surveys inconclusive or invalid. Given the emphasis on integrity management and the additional risks posed by AC Induced Corrosion in collocated right-of-way (ROW) corridors, the negative impact that the zinc ribbon might have on survey data could make CIS surveys invalid and increase the need for and frequency of Inline Inspections (ILI). In addition to these 4 key reasons, MATCOR’s ‘The Mitigator‘ is the pipeline industry’s first engineered AC Mitigation grounded system, with greater ease of installation and lower overall cost. To download a PDF version of this click here. When American Electric Power installed a pollution scrubber at its Cardinal plant along the Ohio River in 2007, it was supposed to last 25 years. About a year later, an inspection found that something was eating through its steel walls. 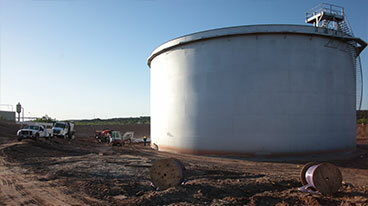 “There were some areas in the tank vessel itself that ultimately corroded all the way through,” said Bill Sigmon, AEP’s senior vice president for engineering, projects and field services. It wasn’t a freak occurrence. The Electric Power Research Institute, which is funded by utility companies, is investigating reports of “aggressive” corrosion in scrubbers across the nation. “Our findings, so far, show it’s fairly widespread through the industry,” said John Shingledecker, senior project manager in the research institute’s fossil materials and repair program. Without a fix, corrosion threatens plant shutdowns and costly repairs, both of which could affect Ohioans’ power bills. Scrubbers are key weapons in the fight to reduce pollution at coal-fired power plants. They were installed to help meet a federal mandate that coal-fired power plants cut 71 percent of their sulfur-dioxide emissions by 2014. They also were required by settlements FirstEnergy signed in 2005 and AEP agreed to in 2007 to end separate federal air-pollution lawsuits. Central Ohio AEP customers already are paying for the scrubbers. State regulators permitted the company to increase base fees as much as 7 percent in 2009, 6 percent in 2010 and another 6 percent this year. Estimates kept by the Public Utilities Commission of Ohio show the average Columbus residential electricity bill for the month of June rose from $87.90 in 2008 to $95.21 this year. 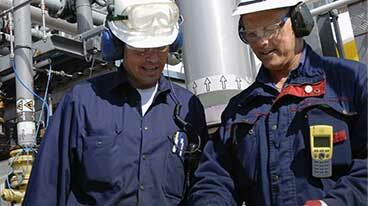 There are about 360 operating scrubbers at U.S. power plants. They are used mainly to catch sulfur dioxide, a key ingredient in the smog and soot pollution that plagues U.S. cities, including Columbus. Research Institute officials are focused on 166 scrubbers installed since 2006. As many as 70 are made of a type of stainless steel that appears particularly vulnerable to corrosion. In addition to Cardinal, AEP found corrosion in new scrubbers at its Conesville plant in Coshocton County and at its Mountaineer and Mitchell plants along the Ohio River in West Virginia. The company spent $1.7 billion to install five scrubbers at those four plants, said Melissa McHenry, a company spokeswoman. Duke Energy found corrosion in two Miami Fort plant scrubbers in Hamilton County, which cost $365 million. Akron-based FirstEnergy found initial signs of corrosion in three new scrubbers at its W.H. Sammis plant along the Ohio River in Jefferson County. “They became operational in January,” FirstEnergy spokesman Mark Durbin said. It cost $1.8 billion to install scrubbers and other pollution filters there. A scrubber can hold as much as 1 million gallons of lime slurry, a solution that captures sulfur compounds in hot power-plant smoke before it goes up the stack. Although no scrubber has “failed,” utility officials say they want to know why some are corroding. Duke Energy spokeswoman Erin Culbert said the company, so far, has spent more than $5 million on short-term repairs. “We do not want to be applying Band-Aids,” Culbert said. Sigmon said AEP negotiated a confidential settlement with a contractor, to address corrosion at its Conesville and Cardinal plants. Shingledecker said it could take as long as two years to identify a root cause of the corrosion and find a solution.